Are the Phillies and starting pitcher Cole Hamels destined for a reunion this summer? It seems like every day in Philadelphia the rumor mill gives way to a harsh reality. Days after LeBron James more or less spurned the Sixers to sign in Los Angeles, reports suggest that the Phillies — in desperate need of offensive help as they continue to contend in the NL East — are a "long shot" to acquire slugging shortstop/third baseman Manny Machado from the Orioles. As MLB.com's Phillies beat writer Todd Zolecki put it, "A third baseman not named Machado and bullpen help are more likely acquisitions." Zolecki goes on to explain that since the Phillies are more than just one added player away from winning a World Series, they are unlikely to be willing to offer the kind of package that a team closer to the top of the mountaintop might offer — especially for a player set to be a free agent in less than a year. 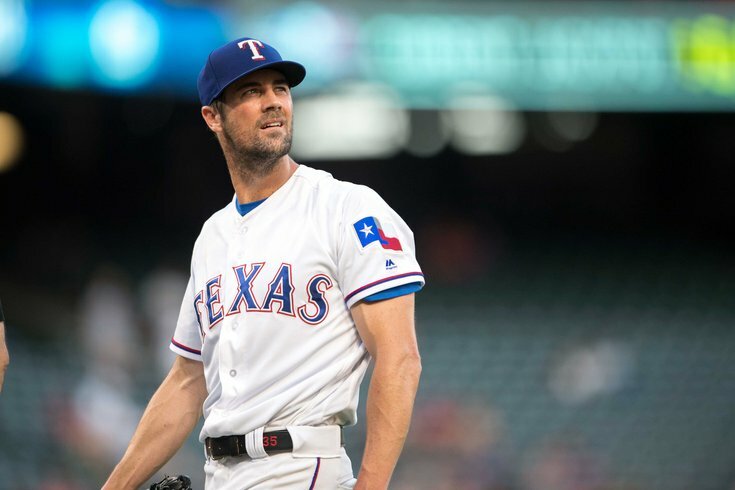 There is another big name, however, rumored to be tied to the Phillies: former World Series MVP Cole Hamels. Hamels can help the Phillies down the stretch with veteran savvy and perhaps a chance of scenery can rescue him from the lowly 4-7. 4.05 ERA campaign he is mired in with the Rangers. He is on pace for his first losing season since he went 10-11 in Philly back in 2009. Zolecki, however, seems far less optimistic than Heyman does about a Hamels to Philadelphia move, something that has been hinted at since before the season even started. Hamels in Philadelphia, potentially by the trade deadline would be a fitting addition to a team celebrating 10 years since its 2008 World Series crown. On August 3, it was announced Tuesday, the Phillies will honor Shane Victorino — who inked a one-year contract to officially retire as a Phillie.